We are always seeking to better the products we create with constant and ongoing formula revisions. Our Wheely Clean is one such example and this is now the 6th update since we first began formulating it 7 years ago. 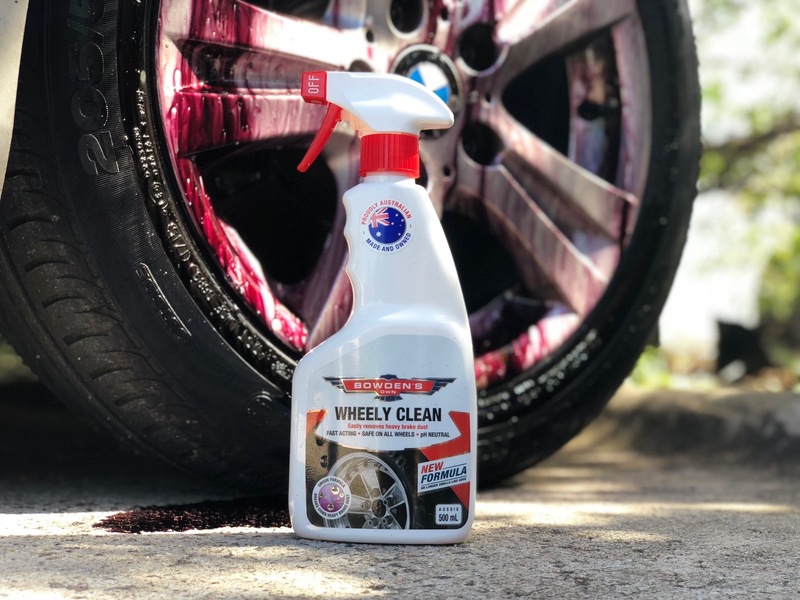 With the new formulas' greater focus on grime cleaning, this new Wheely Clean is epic for loosening that dirt and grime, so you can pressure wash the majority of it away with no scrubbing. This new formula is a full year of work by our chemists, to create a totally unique variant from 14 quality ingredients, all custom blended in our Queensland factory to be of a world class quality. No longer smells like arse, as well as allowing your nose hairs to grow back as well! Quick to use. Just spray on, wait a minute and quickly scrub, then hose off (pressure washer is strongly advised). Proudly all Aussie made and developed formula, great work from a great team of Aussie chemists! 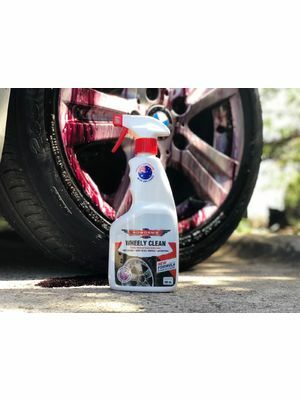 Tried Wheely Clean and this formulation is where a wheel cleaner needs to be. 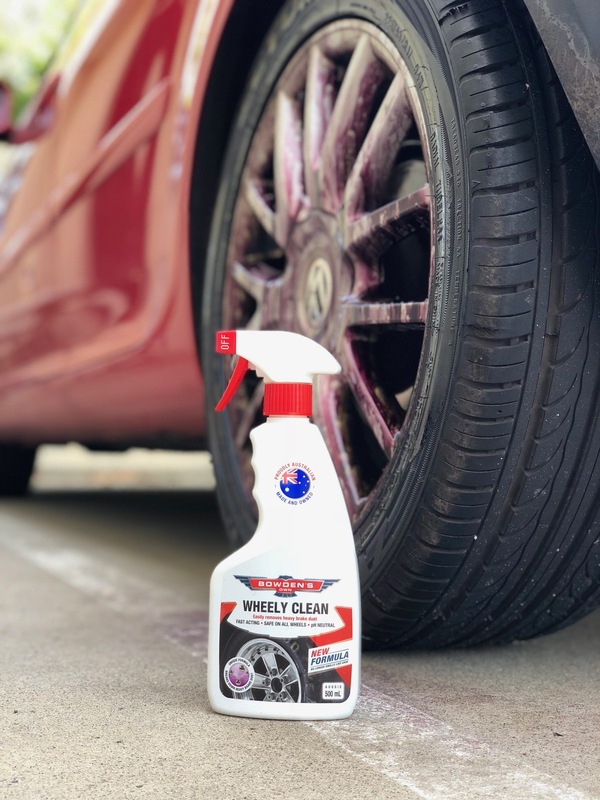 The smell is much better than the old blend and works better in general cutting down wheel cleaning time, making cars ready for a Snow Job quicker. 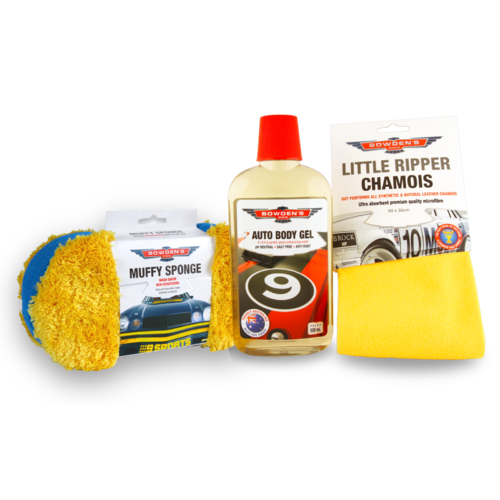 Having used many wheel cleaners over the years, this new formulation is the best! Five stars! Best buy of the year for me! I used the old version and liked it, but not the smell. Just bought and tried this new one today and it is amazing good for my M3's dust magnet wheels. The colour reaction was quite dramatic and it took all the dust and dirt off with just the pressure washer. I love this now, thank you. 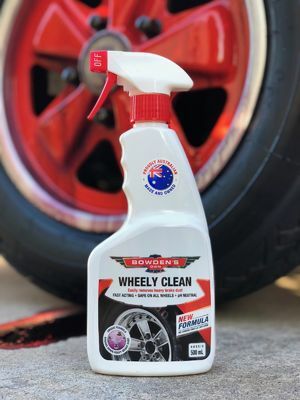 Have used the old formula wheely clean and it was ok, made a switch to gyeon iron which was pretty ok, but stinks like original wheely clean, then iron x ls that works great and not too bad in the smell, but ran out and thought I would try the new version wheely clean.. OMG.. Best smelling one yet and by far the best cleaning!! Worked better than anything else I have ever used. Well done Bowden's on creating a true world class product like this.